Over 91 acres of farmland in Sabattus will remain farmland far into the future. 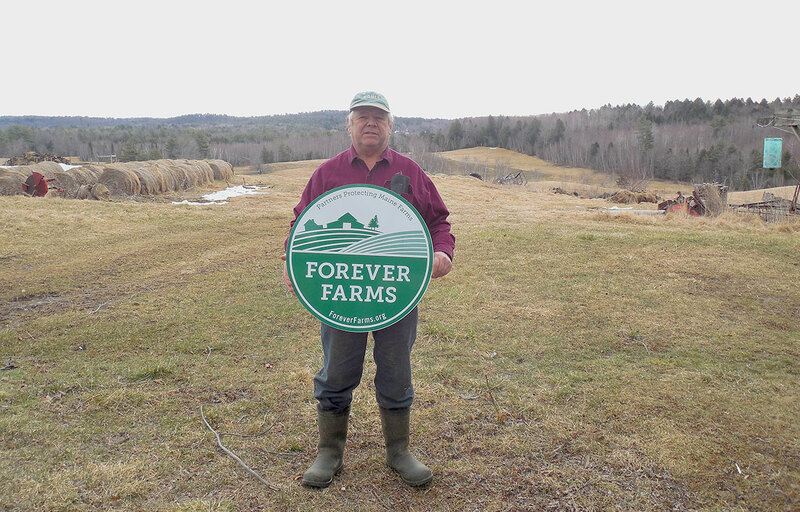 On March 31, farmer Dan Curran protected his farm with a conservation easement, ensuring that the land will be not be developed, and that it will be passed on to the next generation. “I really believe that we need to protect our farms,” Curran said. “Farmland can’t keep disappearing if we’re going to keep eating.” And while Curran is happy that his children plan to take over the farm, he said that he would’ve protected it regardless, because he wouldn’t have been able to leave it knowing that it could be “covered over” by development. Curran partnered with MFT to complete the process. Curran is a former dairy farmer and now raises sheep and cattle for beef, and sells hay. The farm property includes scenic, rolling pasture, and borders the Sabattus River. Curran’s daughter and youngest son work with him on the farm, and plan to continue running it when Curran retires.